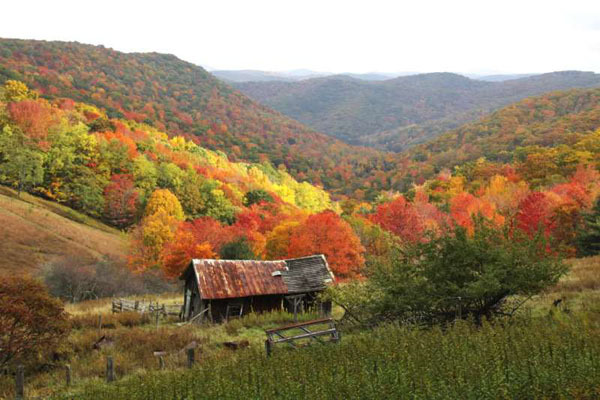 “Pocahontas County is a county located in the U.S. state of West Virginia. As of the 2010 census, the population was 8,719. Its county seat is Marlinton. The county has a total area of 942 square miles (2,440 km2). The county is the site of the headwaters for eight rivers: Cherry River, Cranberry River, Elk River, Gauley River, Greenbrier River, Tygart Valley River, Williams River, and Shavers Fork of the Cheat River. The Monongahela National Forest protects much of the river headwaters, thereby helping to ensure improved downstream water quality. Owen: If you know of a good place in Oklahoma with few or no building codes then please leave a comment below or email me. Looks super beautiful. I heard this place was almost eerily quiet, friendly and laid back (like an old time community). This may be because wifi/cell phones are banned there because Pocahontas County is the home to the National Radio Astronomy Observatory Green Bank Telescope and is part of the National Radio Quiet Zone. Snowshoe has AT&T. Not all types of cell reception are banned in the county. I am looking for land in unincorporated areas with no building and zoning codes to build a sanctuary. I do not have the money to do it any other way. I am 53 years old and I want to build a place of peace,… a place of tranquility without violence,… bigotry and the other gray natures of human beings. I want to live in a food forest and I’ll spent the rest of my life in order to do this. The sanctuary/home and other buildings will be built using alter methods. 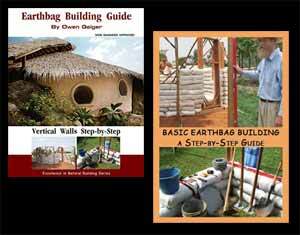 Cob stoves, rain catchment systems and humanure piles will be just some of the DIY systems I will be using on the land. I’ll get my power from the wind and sun. I want to turn the sanctuary/home into a learning center where a select few at a time may live without being charged anything! These people will find a place at the sanctuary to learn about themselves while learning how to live an ego-friendly way of life. Others may just need the peace in their lives to soul search and rediscover themselves. Individuals will be considered to stay here for a time by their own need to be there. The sanctuary will never be a commune nor will there ever be any work stay. I ask for nothing from anyone! I’ll feed people staying there from my gardens and the animals I’ll raise there. I have a desire to do something so unselfishly,…something great and beautiful. Any extra food I grow will not be going to market. Instead I’ll feed my community at a fraction of the cost that’s at the market. You wont find three and four dollar tomato’s here. I want to live a life of self reliance or as close to one as I can. Once built tours will be welcome by appointment and donation. If you want to change yourself or the world. Become the change you want to SEE! One drop of love can fill thousands of people. Can a man find a place out there by you without seeing their neighbors around them? Would a guy like me even fit in out there? I only have maybe two grand to buy the land at this time. I’m poor foke, lol. I’m looking for raw land that no one wants but me. I don’t want to have to go to Southwest Texas or Arizona. We live in Slaughterville,Oklahoma, which is more like a township than a town. No Post Office or school, etc. It is 25 minutes southeast of Norman, which is a great University town (University of Oklahoma is there), so we have all the amenities of a fairly large city, but we live in the country which has rolling green hills and lots of ranches and farms. We don’t have any building codes that I know of. In fact, we would love to build an alternative home here for our in-laws or a guest house. I e-mailed you about it recently. Anyway, let me know if you have any questions about where I live!